Part time jobs, students jobs ads in Perth. Thank you for visiting our free advertising website Part time jobs, students jobs, Perth section. We provide high response free classifieds and free advertisement. Use our online free Part time jobs, students jobs classifieds placement system to find, list, offer Part time jobs, students jobs online! International quality and service research company recruits motivated people for the position of Field Coordinator. Responsibilities include * Scheduling and coordinating shop visits to all Service Checkers in the area * Selecting and informing of Service Checkers by phone * Ensuring that guidelines are met and reports are completed in a timely manner Required Profile * Willing to work freelance * Effective communication skills * Experience in telemarketing/telesales/sales * Organizational and problem solving skills * Competent knowledge of MS Office * PC and broadband Internet access	* Availability 3-5 hours daily If you are interested in working from home please send your CV directly to isc-australia@internationalservicecheck. We are pioneer & reliable online & offline jobs & home business provider throughout world. We are here to help home businesses and the people who want to earn from home. http://cyberbizfamily.com. Hi, We are two hard working student girls who have exprerience as cleaner and housekeeper. If you are after renovation, you need some help before Christmas, don`t have a time or you are tired we can support you!. 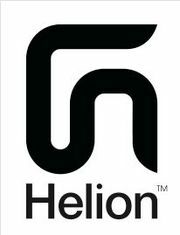 Mystery Customer Researcher / Mystery Shopper Helion Research As a Helion Evaluator you will evaluate all sorts of services including, shops, restaurants, car showrooms, the list goes on. You will be set a scenario to follow for each evaluation and then you will be asked to fill out an online questionnaire. Hi I'm debbie, 19 year old I just finished my diploma at university and I really need a job because i am free now. I am very social and outgoing, confident, and friendly. I also like to work as a team. I'm able to adapt and learn quickly. If you have any information or job vacancies, please let me know you can contact me by email :debbie_stywt@yahoo. Australia free ads for Part time jobs, students jobs, Perth, Part time jobs, students jobs free ads Perth, Part time jobs, students jobs for sale Perth, Part time jobs, students jobs to buy in Perth. Find on this page free classifieds for Part time jobs, students jobs in Perth. This listing includes classifieds for sale and to buy in Perth. FREEADSAustralia Perth offers you a platform to post free advertisements or classifieds for Part time jobs, students jobs in Perth. FREEADSAustralia helps you search, find buy, sell, rent or hire in various categories like apartments, goods for sale, local services, cars , jobs and many more in Perth. If you posted an advertisement in category Part time jobs, students jobs of FREEADSAustralia Perth before please use Edit my ads button to change or cancel your ad. Part time jobs, students jobs Perth ads Perth, Part time jobs, students jobs classifieds Perth, Part time jobs, students jobs free ads Perth, ads for sale Perth, ads to buy Perth, FREEADSAustralia. Find here ads for sale, to buy and rent in Perth. Goods for sale in Perth, vehicles for sale in Perth, Perth real estate for sale, Perth property for sale, property for rent in Perth, business ads in Perth, Perth business classifieds, services in Perth, Perth services ads, jobs in Perth, pets for sale in Perth, Perth dating, Perth cars for sale.